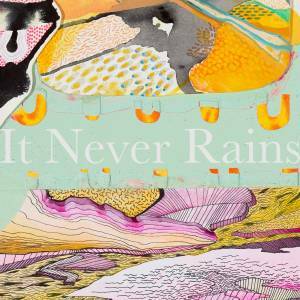 Hidden behind playful basslines and laid back grooves, GEO's "It Never Rains" actually made me kind of sad. I think it's coming from within me, but in case you want to be on the mellow side of things, despite the fact that it's Friday, then you will fall in love with this track. While the world is rushing around, I just want to disappear and play this track on repeat. I must give major props to the L.A.-based producer for crafting such an infectious track. GEO blends lofi, jazz, and R&B with glitchy vocal samples and live instruments. Pretty much my favourite things when it comes to music nowadays. I guess regardless of what I said about, he would disagree with me as he mentioned that "It Never Rains" is the most positive track on his new EP Sincere. I guess that's why music is so cool - we all interpret it in different ways.